A record number of candidates across Canada wrote the final examination on the path to earning the Certified Financial Planner designation in November. Given the rise of robo-advisors and the overall increasingly competitive marketplace for financial advice, more and more financial advisors are looking to enhance the services they provide to their clients by becoming full-fledged financial planners. 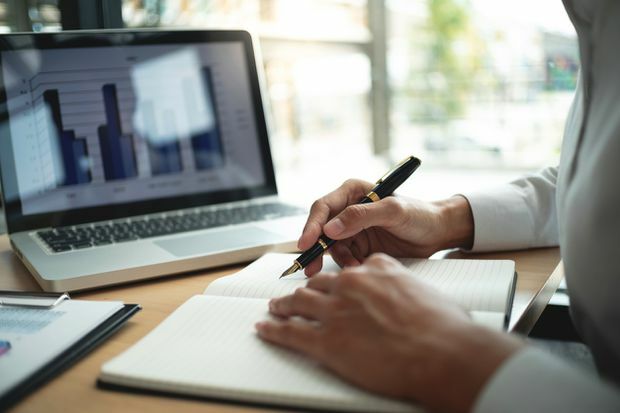 The Financial Planning Standards Council (FPSC) announced last month that a record number of candidates across Canada wrote the final examination last November on the path to earning the Certified Financial Planner (CFP) designation. While 564 candidates wrote the FPSC Level 1 examination, the first step on the way to CFP certification, on Nov. 29, 563 candidates wrote the CFP examination, the final exam, on Nov. 30 – the highest number since the FPSC updated the requirements for earning the CFP designation in 2010. According to Cary List, president and CEO of the FPSC, the number of candidates writing these exams has risen steadily during the past three years. The size of the 2018 candidate pool was 12.6 per cent greater than it was in 2017, 19 per cent greater than in 2016 and 30.6 per cent greater than in 2015, he says. Mr. List anticipates the exams will continue to grow in popularity in the coming years. The increase in the number of candidates writing these exams is particularly noteworthy “in a time when we’re starting to see consolidation and shrinking of the broader financial advisory market,” Mr. List says. Furthermore, as the popularity of robo-advisors has grown among investors, earning the CFP designation is one way for advisors to set themselves apart. “If there’s going to be a shrinking number of human advisors out there, it’s going to be really critical that those advisors can all sustain their value proposition in a world in which technology is delivering a lot of the more fundamental aspects of [financial advice], such as diversification, asset allocation, portfolio selection and rebalancing,” Mr. List says. Also noteworthy in the context of the growing number of candidates taking the exams was the pass-fail rate in the latest round. According to the FPSC, 74 per cent of first-time writers and a mere 45 per cent of repeat writers of the FPSC Level 1 Certification passed the exam for an overall pass rate of 69 per cent. Similarly, 68 per cent of first-time writers and just 39 per cent of repeat writers of the final CFP exam passed for a total pass rate of 55 per cent. Mr. List says these figures are a “statistically significant reduction in pass rate” from prior exams. “It’s tough, and not everybody’s going to make it on the first run,” he adds. Katelyn Culliton, director, wealth planning, at BMO Wealth Management in Stratford, Ont., wrote the CFP exam last June and was among those candidates in her cohort who passed the exam on the first try. In fact, she achieved the highest score within her group, earning a spot on the FPSC’s president’s list. She has since obtained her CFP certification. For Ms. Culliton, who focused on earning the CFP designation to broaden her knowledge in financial planning after moving to a wealth planning role from a public accounting position within her firm, the process of studying for the exam alone made her a stronger financial planner. She says training for the test required solving challenging case studies that were highly relevant to her day-to-day work. Completing the course also has helped Ms. Culliton to build trust and credibility with her clients. “As soon as they hear your background and know what level of training you’ve gone through, it definitely increases their confidence and they’re a lot more receptive to the process,” Ms. Culliton notes. She adds that her employer was incredibly supportive throughout the process of preparing for the exam. And as demand for CFP certification grows, more and more financial services firms are assisting their employees in earning the designation. In fact, Winnipeg-based Investors Group Inc. recently asked all advisors within the organization to obtain the CFP designation by 2020, offering support to do so along the way, says Jack Courtney, vice-president of advanced financial planning at the firm. He estimates that approximately 100 Investors Group advisors participated in the latest round of the FPSC Level 1 and CFP exams, a move which he anticipates will help the firm and its advisors to further build trust with their clients.